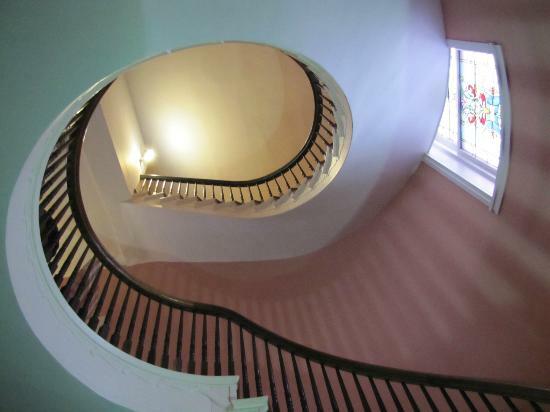 Come and experience one of Kentucky’s most beautiful old time settings at the Rosemark Haven Plantation Bed & Breakfast. Surely, this is what Stephen Foster was singing about with his song “Old Kentucky Home.” Let Rosemark Haven be your “Old Kentucky Home” which you return to time and again! This beautiful Bed & Breakfast features 7 elegantly restored and decorated rooms with modern amenities, perfect for a honeymoon, anniversary or just a romantic get-a-way! 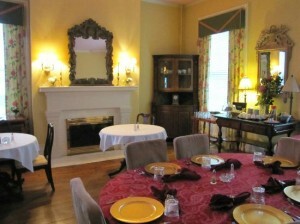 It also makes a great location for family reunions and small business conventions with a large meeting room available. Rosemark Haven is conveniently located in Bardstown, Kentucky in the heart of Bourbon Country. It is close to all of the activities in town, yet slightly off the beaten path for a more secluded atmosphere. The elegant spiral staircase (pictured) leads past the stain glass window to a large sitting room for guests to enjoy. There is also a rooftop overlook which affords a beautiful view of the plantation. You must also visit the restaurant with a beautiful classic dining room, perfect for special occasions, whether or not you are staying. The Italian cuisine is excellent! For more casual dining, enjoy our café and wine bar which is located in the renovated tobacco barn. Sandwiches, salads, soups and delicious desserts are all available. Space is available for private events by reservation. 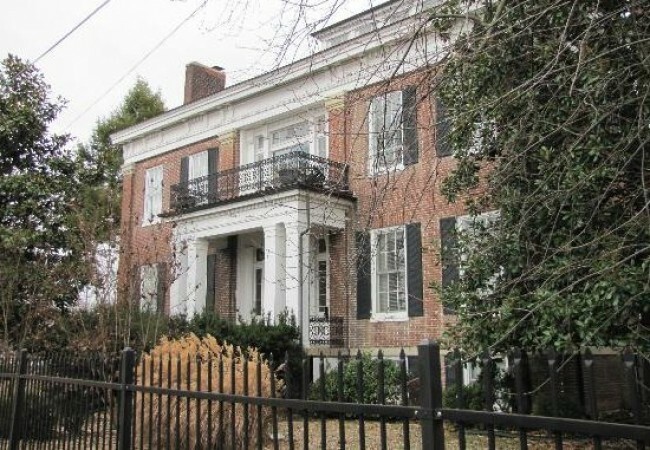 Bardstown is home to several of the world’s top bourbon producers including Jim Beam, Barton 1792, and Heaven Hill. These distilleries each have visitor’s centers where you can view interactive displays and learn about how the world’s best bourbons are made. They also offer fascinating tours of the facilities. Each September, Bardstown is host to the Bourbon Festival, a six day event that can only be described as a celebration for the ages. Enjoy bourbon tasting, black-tie parties, excellent music, bourbon cooking demonstrations and much more! The Bardstown Boaters are a whitewater paddling and water conservation group based in Bardstown. If white water kayaking and other types of boating are of interest to you, you are in good company! Boating and fishing fun are also available on Sympson Lake which is a reservoir just a few miles east of Bardstown. What could be more fun than cruising the lake with a skier in tow and music playing on your marine stereo and waterproof speakers? And don’t forget your rod and reel! No visit to Bardstown would be complete without a visit to the Kentucky Railway Museum! The museum is a recreation of the old L&N line train depot from days of yore. Check out the 5,000 square feet of train related artifacts and displays. There is an incredible collection of model train railroads, and of course, you must catch a ride on the restored steam locomotive as it meanders along the scenic Rolling Fork River! The Most Beautiful Small Town In America! Bardstown won the competition against 650 other small towns from across America. Nicky and Dusty Green were the Rand McNally representatives sent to judge the town and Bardstown clearly pulled out all the stops. They were greeted with a parade with residents lining the streets before they took a tour of all the sights. 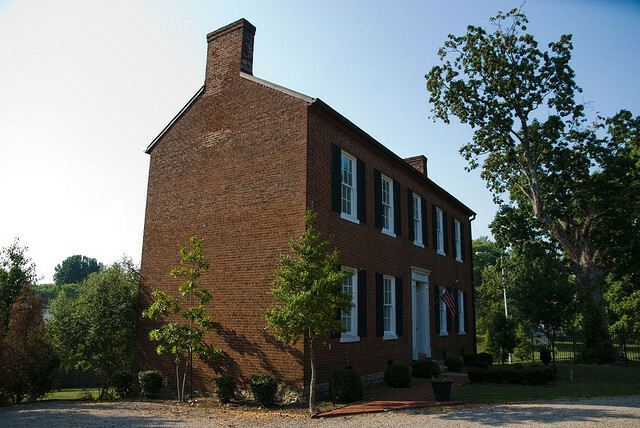 Bardstown is the home of Jim Beam, Barton 1792 and Heaven Hill which makes it the natural location for the annual Kentucky Bourbon Festival.